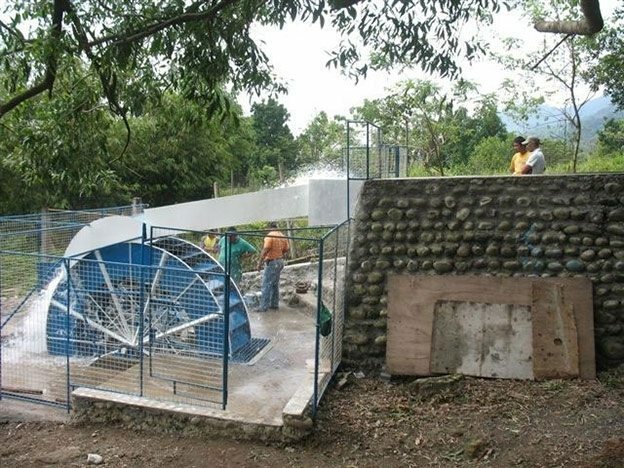 Developing a small hydropower site is not a simple task. There are many aspects which have to be taken into consideration, covering many disciplines ranging from business, engineering, financial, legal and administration. These will all be necessary at the different development stages from, first choosing a site until the plant goes into operation. The “Laymans Guide” guide brings together all of these aspects in a step-by-step approach, and will serve as a useful tool for a potential developer of a small hydropower scheme. This guide is divided into nine chapters and covers the basic concepts, meaning of definitions and technological issues to be addressed. Describe the essential steps to be followed to evaluate a proposed scheme before deciding whether to proceed to a detailed feasibility study. Topography and geomorphology of the site. Evaluation of the water resource and its generating potential. Hydraulic turbines and generators and their control. Environmental impact assessment and mitigation measures. Economic evaluation of the project and financing potential. 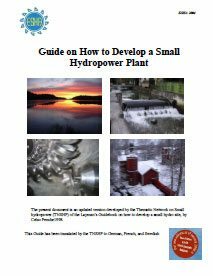 Reading this guide will inform the potential small hydropower developer and give a better understanding of the different issues, phases and procedures that need be followed to develop and run a small hydropower operation.